Do you have an account with Andhra Bank? The bank issues Debit/ATM card which the account holders use for cash withdrawal. Nowadays, the account holders use the ATM card for several other transactional purposes. What if you require transferring money from your account to another bank? It is quite easy to transfer money to accounts with the same bank. But, do you know how to transfer money from Andhra Bank to other banks. You can transfer money from your account to accounts to other banks accessing online banking services. Step 1: Open the web browser on the device with internet connectivity. 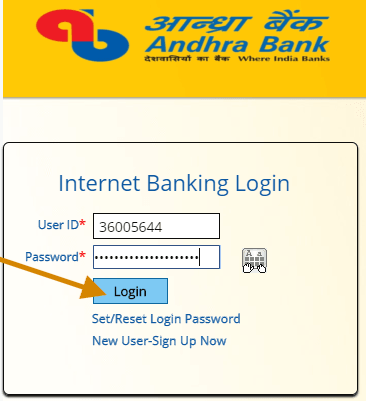 Visit the official site of Andhra Bank for accessing internet banking services. On the homepage of the site, you need to click on 'Retail User Login' tab if you are a retail user. You will get directed to a confirmation page where you need to click on 'Continue' button to proceed ahead. You will get directed to the Login page where you need to enter the User ID and Password to login to your net banking account. Click on Login after entering the required credential. Step 3: You will be redirected to the payment page where you need to select 'Payment Date', 'Make a payment from' and 'Make a payment to'. Select Payee and enter amount carefully. Remarks the payment, select network NEFT or RTGS and click the Continue button. Click on 'Add as External Payee'. Now you need to enter the Payee Name, Account Number, and Transfer Limit under Payee Details. The next step is to Select Either Bank or IFSC. If you have the Bank's Name and the City name, you can enter the info in the provided boxes or if you have the IFSC number of the Bank, enter the code and click on 'Get Branch' button. Click on 'Add Payee' button to lock the payee details. Step 4: To confirm the payment details, you have to enter the transaction password. You will receive the OTP on your registered mobile number which you need to enter in the provided box displayed on the screen. 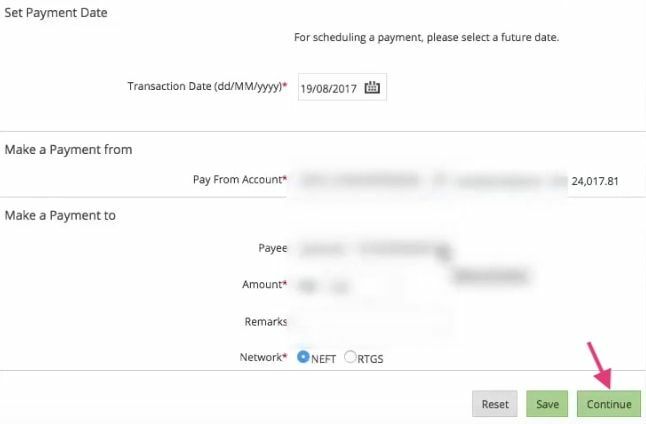 Enter both transaction password and one-time password, then click the confirm payment button to complete the whole process. The entered amount will be transferred successfully. Important Note: If you want to transfer the amount via IMPS or Other Andhra Bank Accounts, move back to the Fund Transfers page. Select IMPS or other Andhra Bank Accounts link. Now, select the Debit Account, Pay to (Beneficiary Name), Amount, and Remarks. If you want to transfer the fund instantly, then select the option, or you can also schedule the payment date providing the particular date in the provided box. Click on 'Pay' to proceed ahead and end the process. You will get the notification on successful fund transfer. You can access the online fund transfer service from anywhere. The account holders can transfer funds to beneficiaries having an account with any bank from any region. Make sure to check the fund transfer limit and the charges before transferring the fund to the beneficiary.